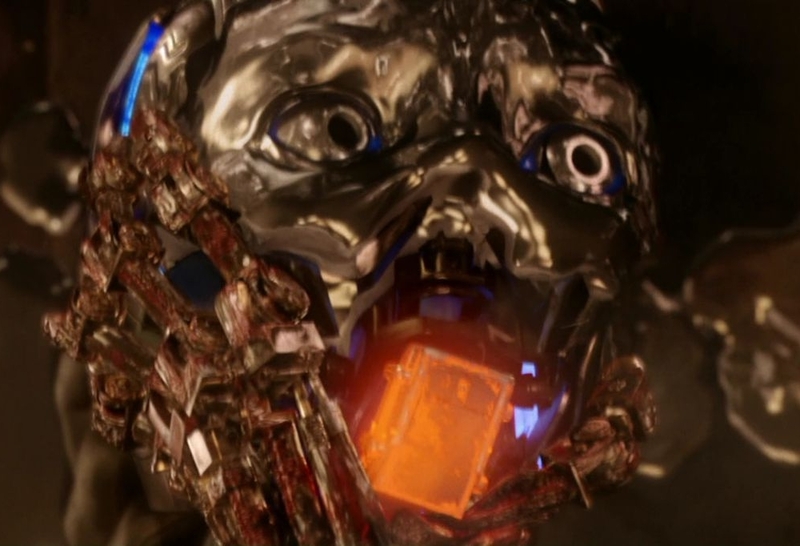 In Terminator 3 (which, arguably, upsets the timeline, and has some odd ideas about John Connor’s age, and his memory – but I digress) John Connor is once again the target of an assassination attempt – this time, Skynet has sent back a new, advanced Terminator – the T-X. This is the most sophisticated Terminator yet built, with a liquid metal coating over an advanced endo-skeleton, and built-in weaponry. To make things worse, the T-X can also remotely control other machines, and reprogram them too. As with the T-800 and T-1000, the T-X can absorb a considerable degree of gunfire, and also being physically assaulted by a T-850 and being involved in serious vehicle crashes. At one stage, the T-850 in T3 is smashing the T-X into concrete, into porcelain, and through walls, and the T-X comes out of every attack without a scratch. The T-X gets hit by an RPG at one stage, and shrugs this off too. It also gets stuck magnetically to a particle accelerator, and this does no lasting harm to it. We see the T-X nearly snap the T-850’s head clean off at the end of their fight, and we also see it reprogram the T-850, overriding its motor controls. Additionally, the T-X reprograms experimental defensive robots at a top-secret military facility where Skynet is being developed. Finally, it takes control of several vehicles at once, in a bid to catch John. One of the built-in weapons the T-X has is a plasma cannon, that forms out of its right arm. This cannon can destroy vehicles with a single shot and also disrupt a T-850’s power cell, to the point where it ruptures. Some damage does get sustained when the T-X has its arm in a hearse as it tries to get to John, and the hearse drives under a lorry, damaging the arm. The T-X is destroyed when, having been crushed under a large helicopter (momentarily losing its liquid metal ‘skin’ and forced to disconnect its legs), it tries to crawl after John and Kate, whilst the pair of them are crawling under heavy blast doors to get into a secret bunker. The T-850 (having ‘rebooted’) is able to snap the T-X’s wrist at this point, where before it was no match for the T-X, which leads me to wonder if, lacking the extra protection of its metal skin armour, the T-X is more vulnerable. The T-850 pushes its remaining power cell into the T-X’s mouth, and the cell ruptures with a huge explosion, destroying both machines. It goes without saying that the T-X is formidable. 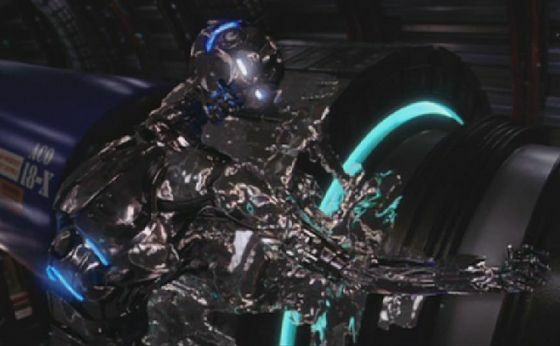 It can weather heavier weapons than a T-800, can change its appearance like a T-1000, and has on-board weapons. To add to this, it can control other machines, so chances are a force fighting the T-X won’t just be fighting the T-X. As before, a strong enough concentration of heavy weaponry should do the job – but personally, I’d sooner get to a safe distance and call in an airstrike!